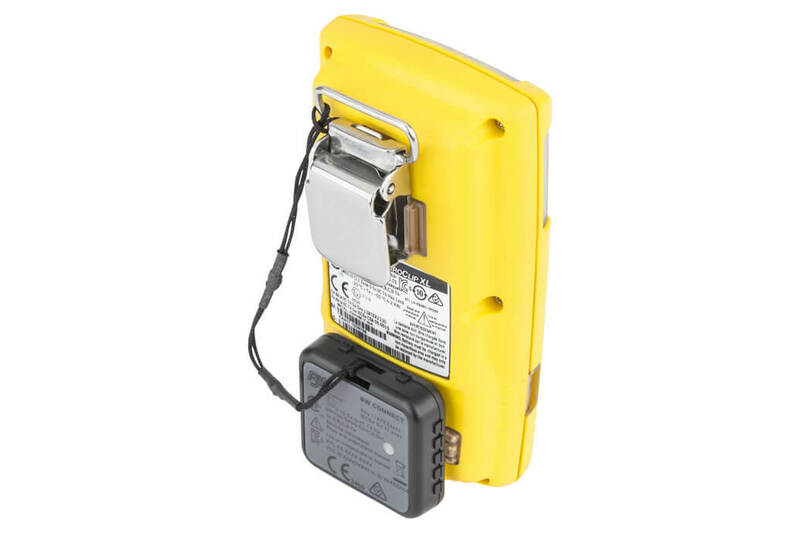 Honeywell announced today a new Bluetooth-enabled device that brings connectivity to Honeywell BW portable, multi-gas detectors so companies can monitor their employees’ safety remotely, respond to emergencies faster and avoid costly downtime. The new offering, part of Honeywell’s Connected Worker portfolio, allows companies to add connectivity to hundreds of thousands of Honeywell gas detectors in service today. The new Honeywell BW Connect™ attaches to Honeywell BW’s GasAlertMicroclip XL and X3 detectors, and GasAlertMax XT II detectors by sliding onto the charging port of the detector, and pairs to a smartphone via Bluetooth. Using the Honeywell Safety Communicator app, the detector relays information to the cloud, where it is accessible from any computer or mobile device with an internet connection. Safety managers can monitor gas readings from anywhere in real time, and coordinate a faster response in case of an emergency. Connectivity provides workers with the assurance that their employer can monitor their well-being in dangerous situations. Having real-time data means safety managers can quickly assess a situation and provide the correct emergency response in a timely fashion. Connectivity also improves productivity and compliance, because Honeywell’s remote-monitoring software automatically logs gas incidents, tracks detector testing schedules and generates compliance reports. Honeywell is helping companies realise a Connected Worker vision through a range of offerings designed to improve worker and plant productivity and safety, minimise downtime, and ensure regulatory compliance. The solutions, which integrate seamlessly into plant operations, are designed to help eliminate manual processes and ensure regulatory compliance; maximise accuracy and efficiency; and minimise safety costs and prevent incidents. Honeywell Industrial Safety, part of Honeywell’s Safety and Productivity Solutions group, is a global leader in gas detection, with a broad portfolio of portable, fixed, single and multi-gas detectors. It is also a global leader in personal protective equipment (PPE), head-to-toe turnout gear and self-contained breathing apparatus for first responders. Honeywell’s software offerings connect workers and employers with data-driven, real-time intelligence to increase jobsite safety, productivity, efficiency and bottom-line performance.